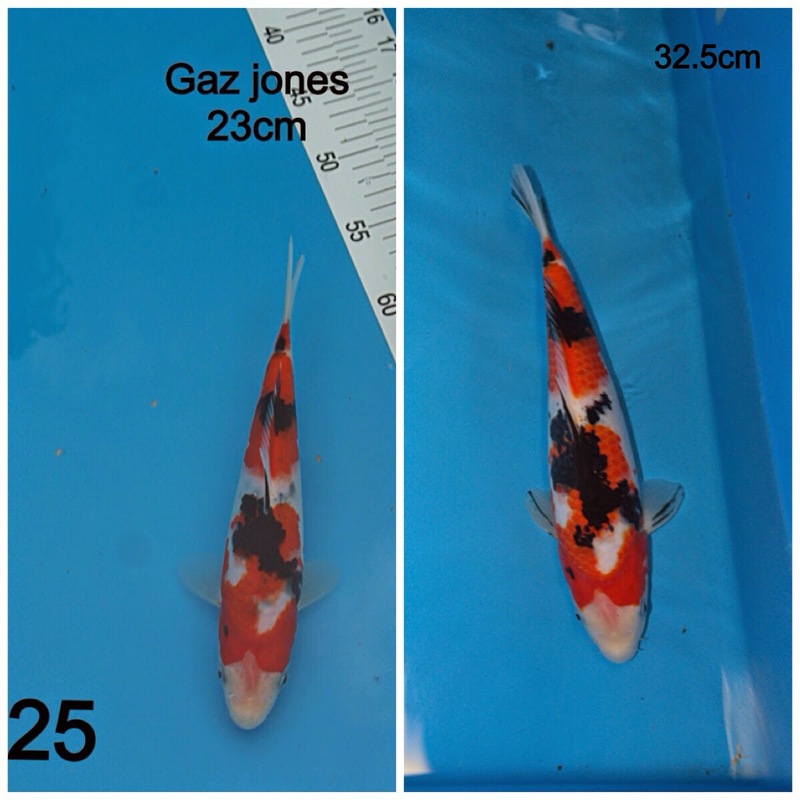 Results of the Kangei Winter Grow and Show at Avenue Fisheries. 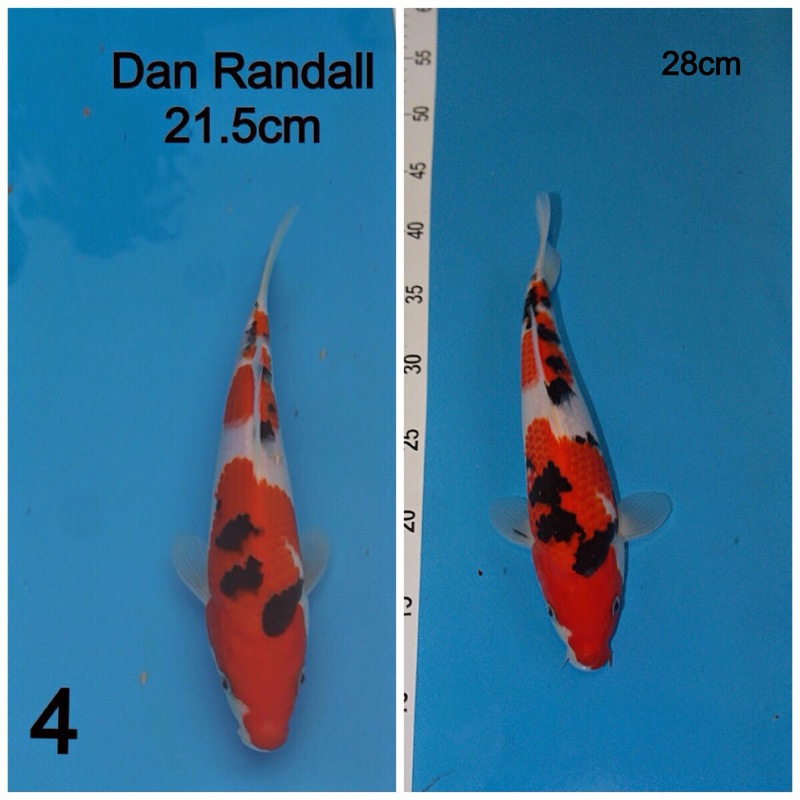 On the 12 April 2015 the member's of Kangei travelled to Avenue Fisheries in Wyboston, Bedfordshire for the results of our Winter Grow and Show event starting at 10:30. 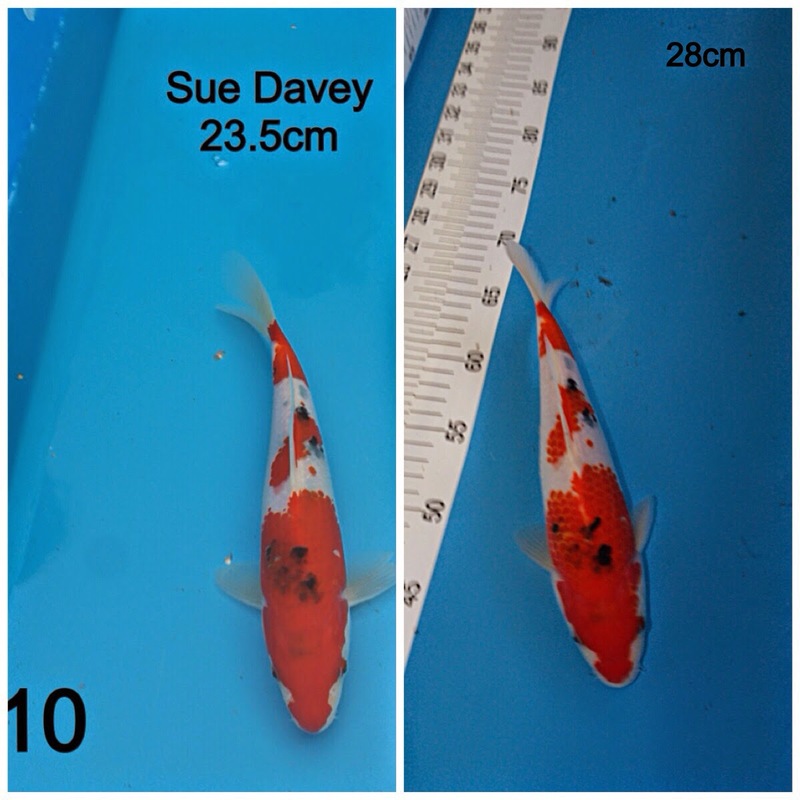 The hospitality of Pam and Steve was superb as always and these events continue to be a great success for our club. This was also a good opportunity to have a really good relaxed koi related catchup between members. 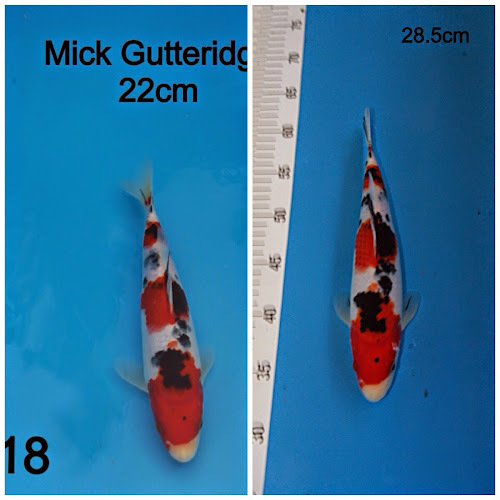 What was also great was that everyone stayed until about 1pm chatting and watching everyone's koi being picked out / measured. 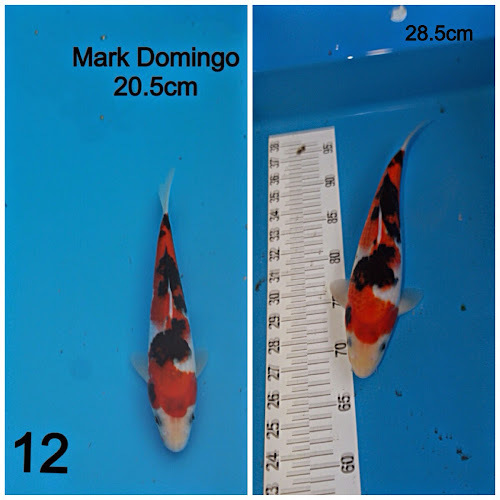 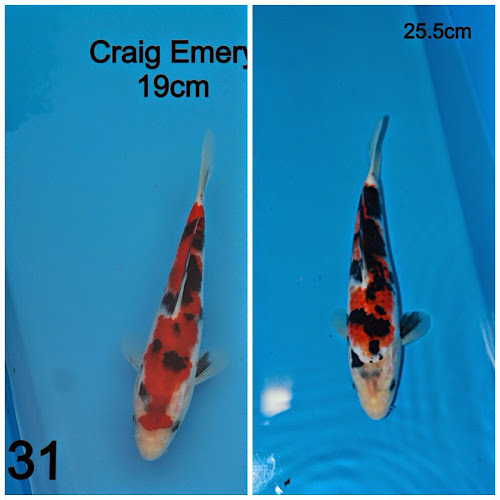 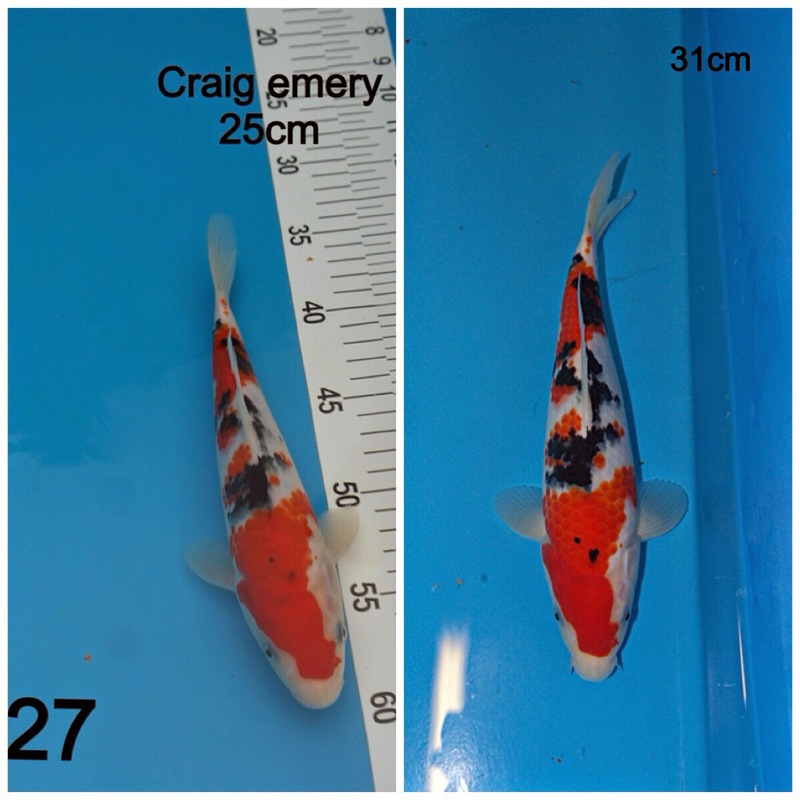 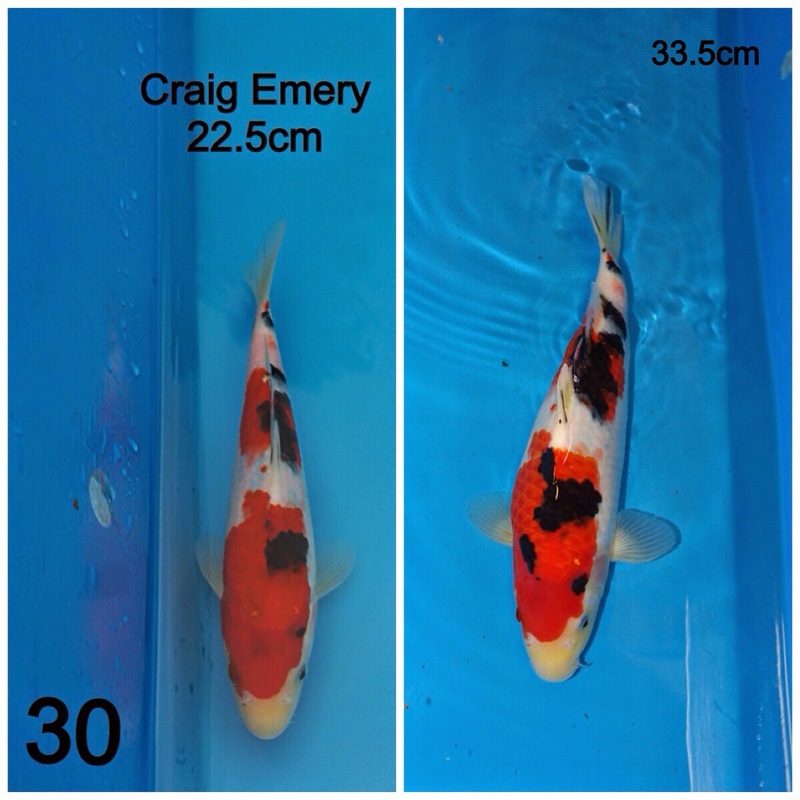 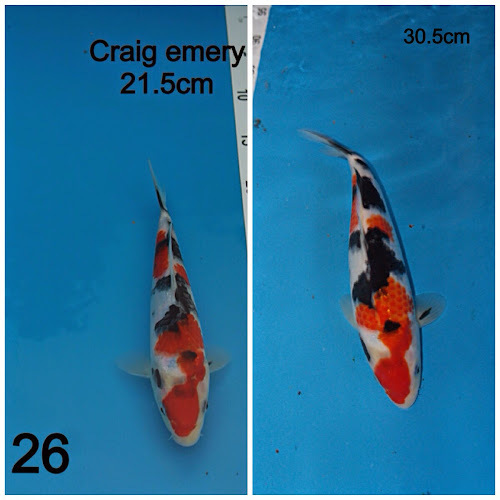 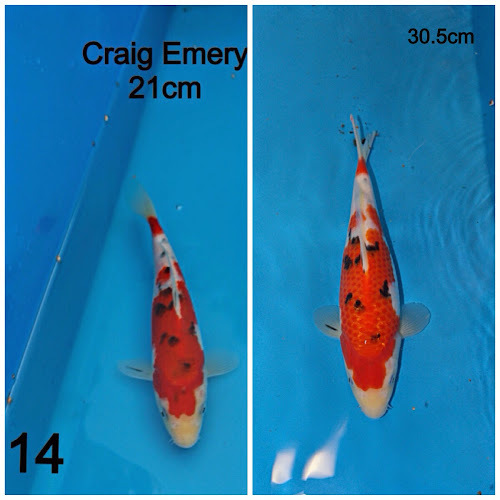 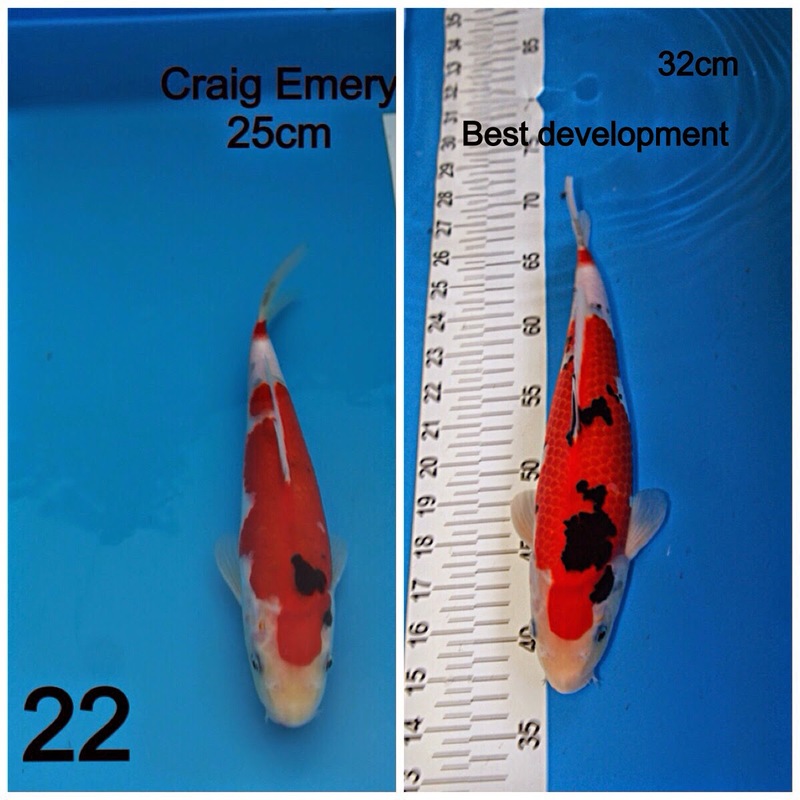 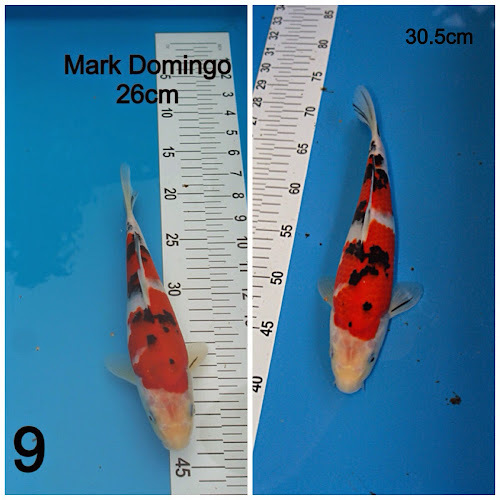 The best development was a really close contest between three great koi of Craig Emery, Dan Randall and Mark Domingo. 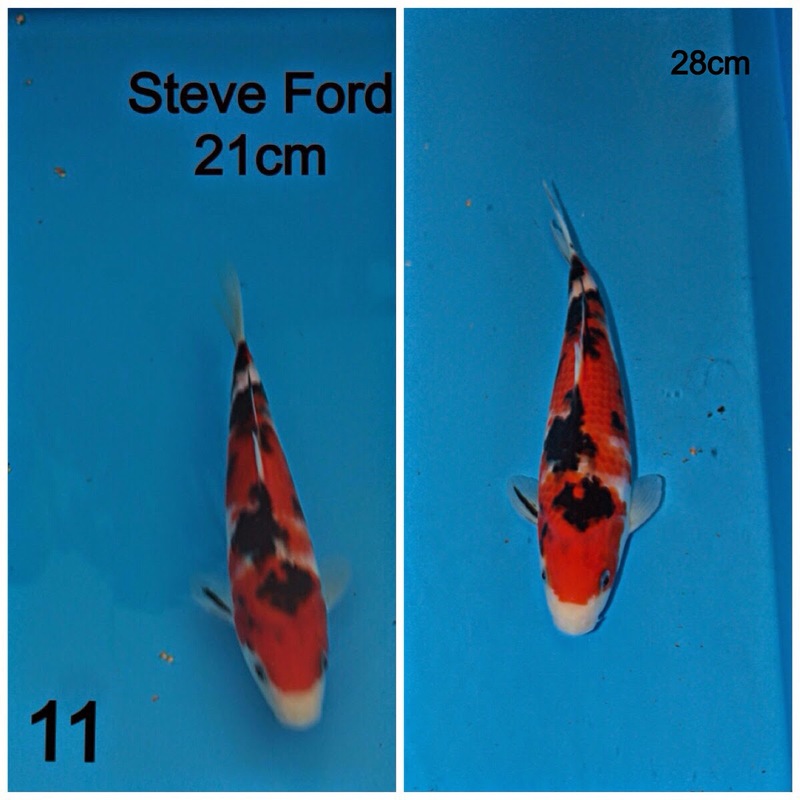 After careful consideration Steve decided Craig's koi was the winner. 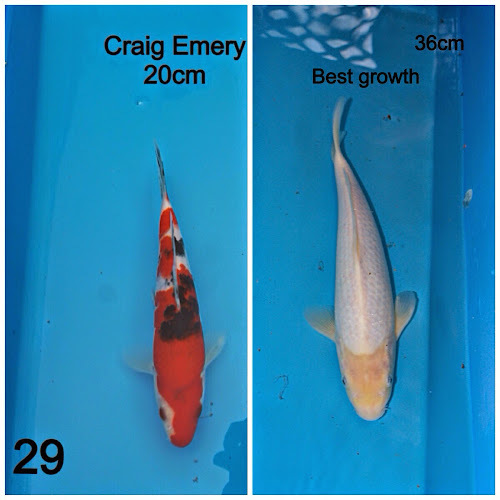 The best growth koi was an entertaining one because as you will see I was a process of elimation which initial koi it was! 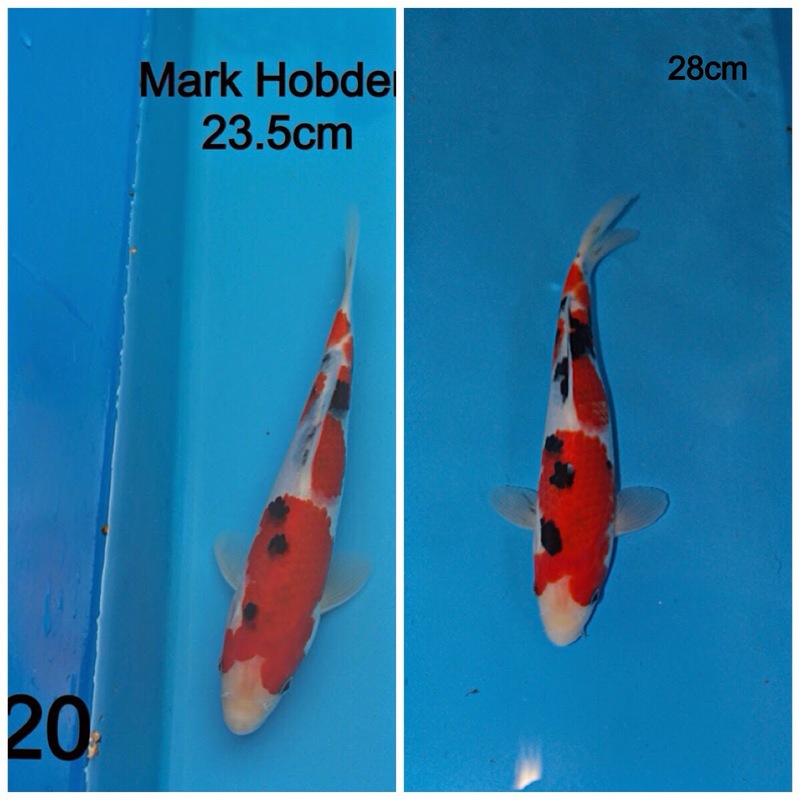 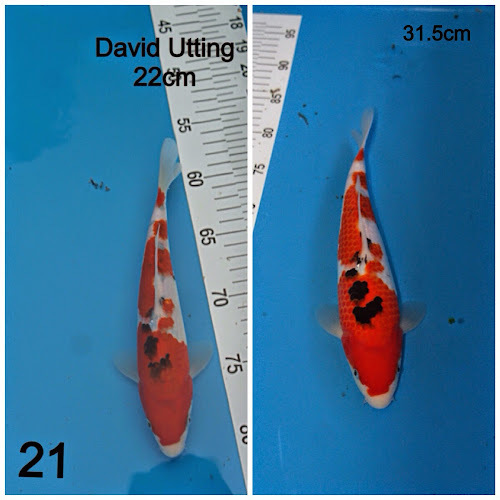 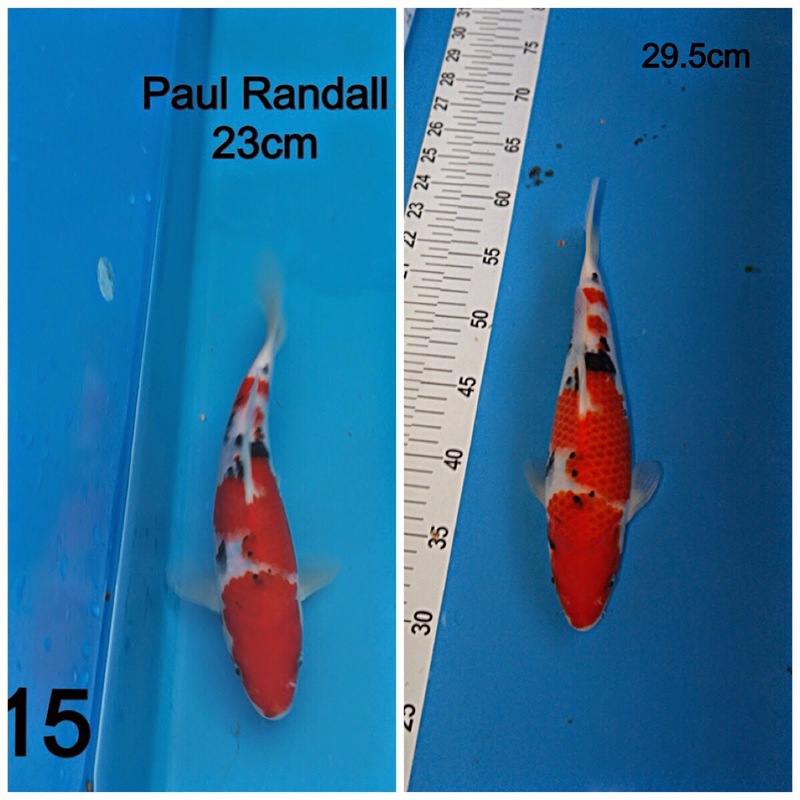 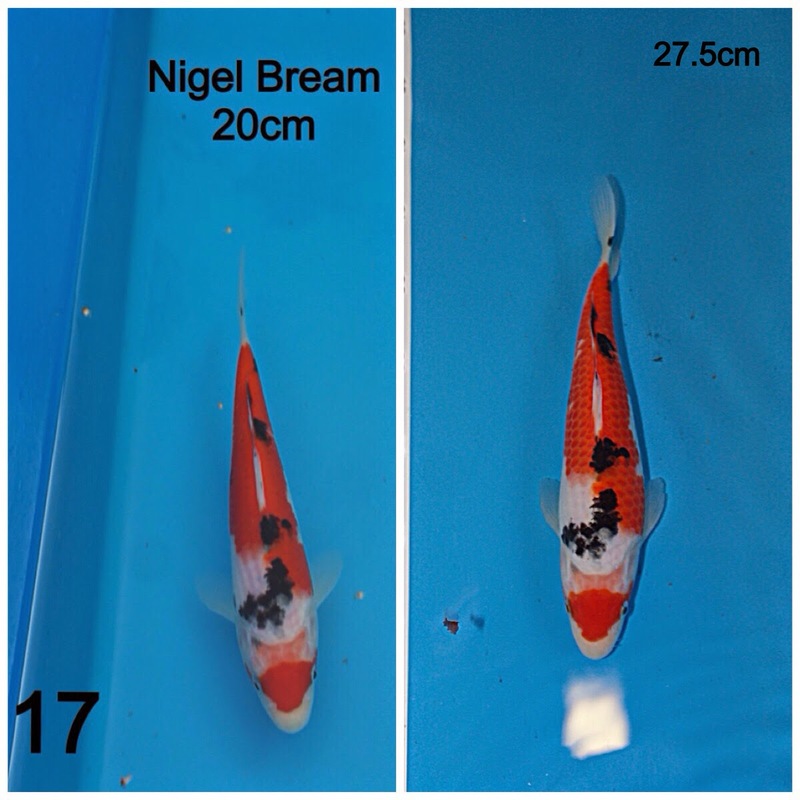 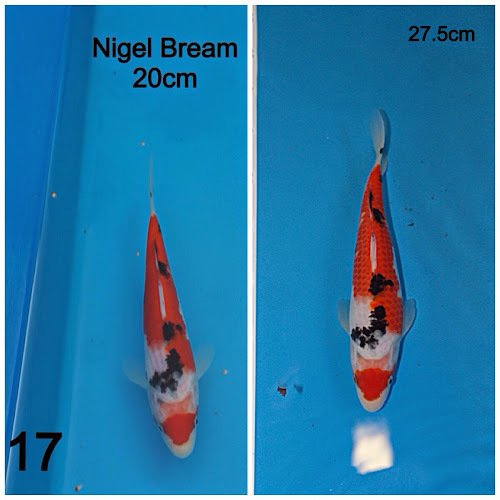 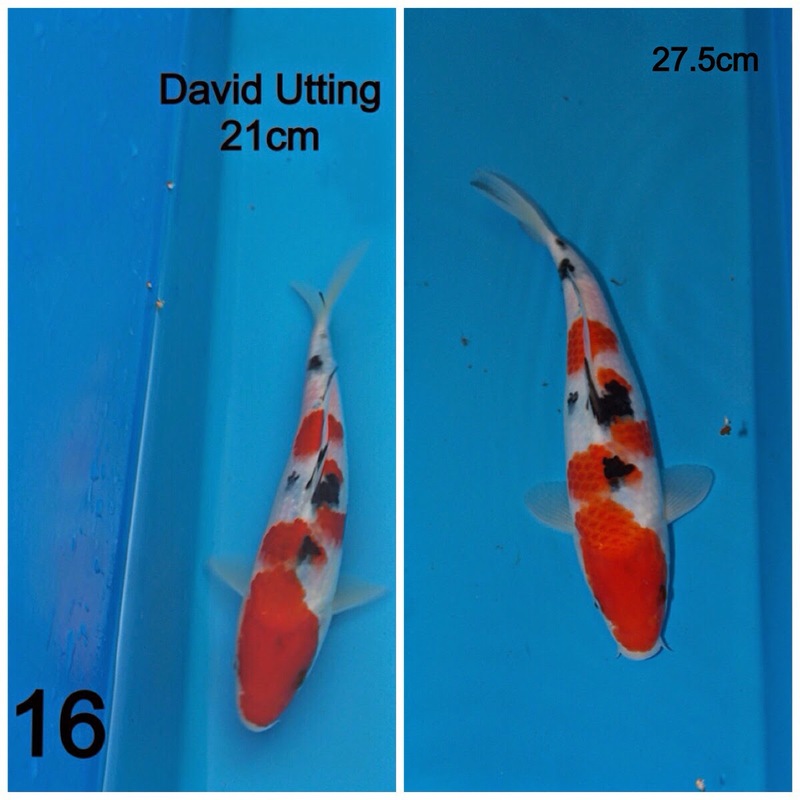 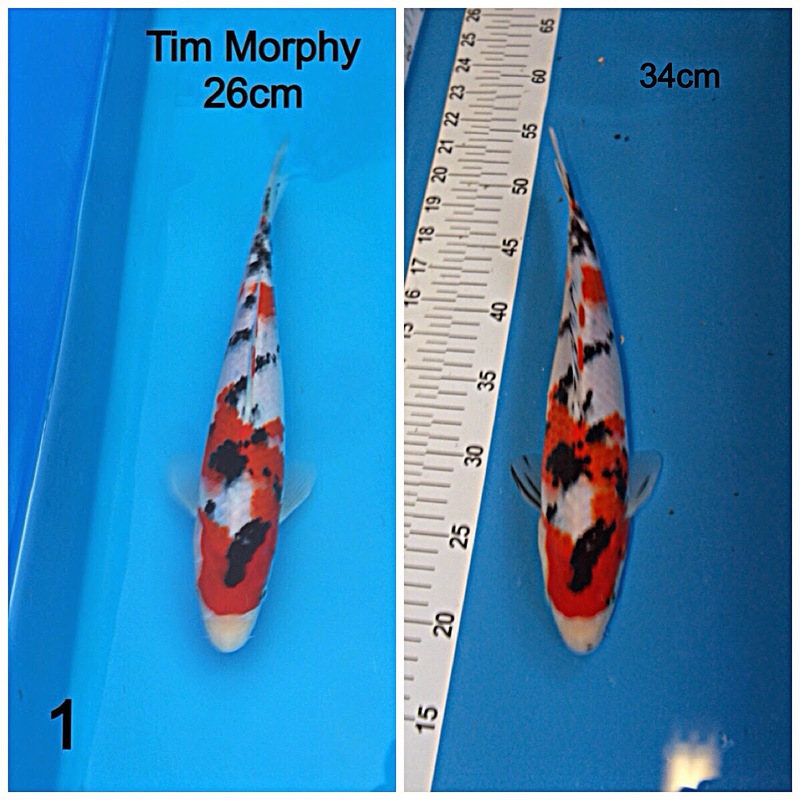 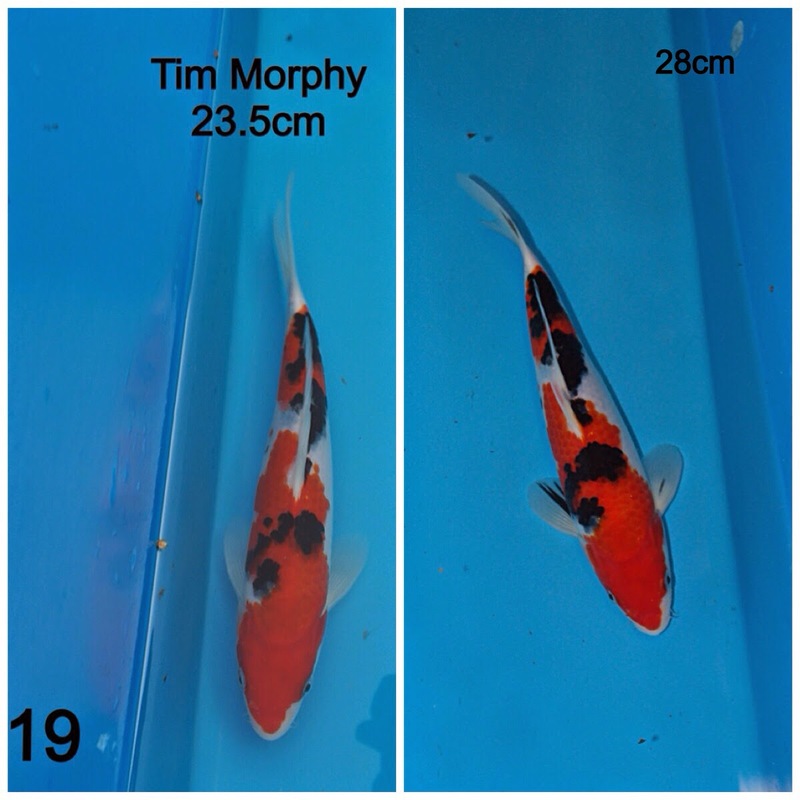 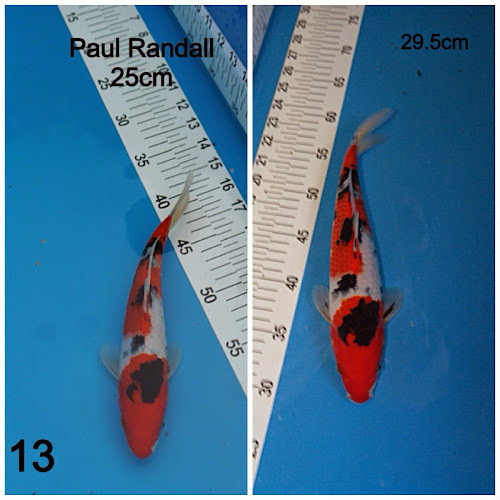 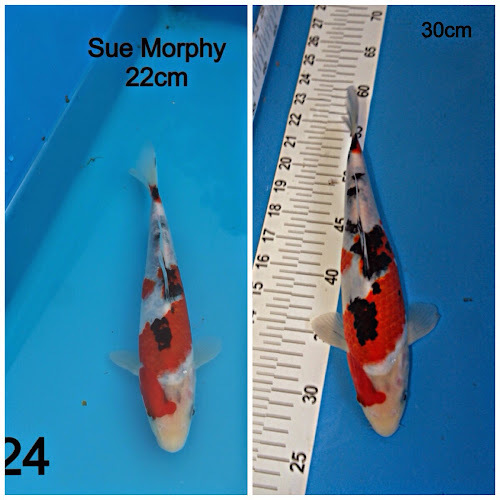 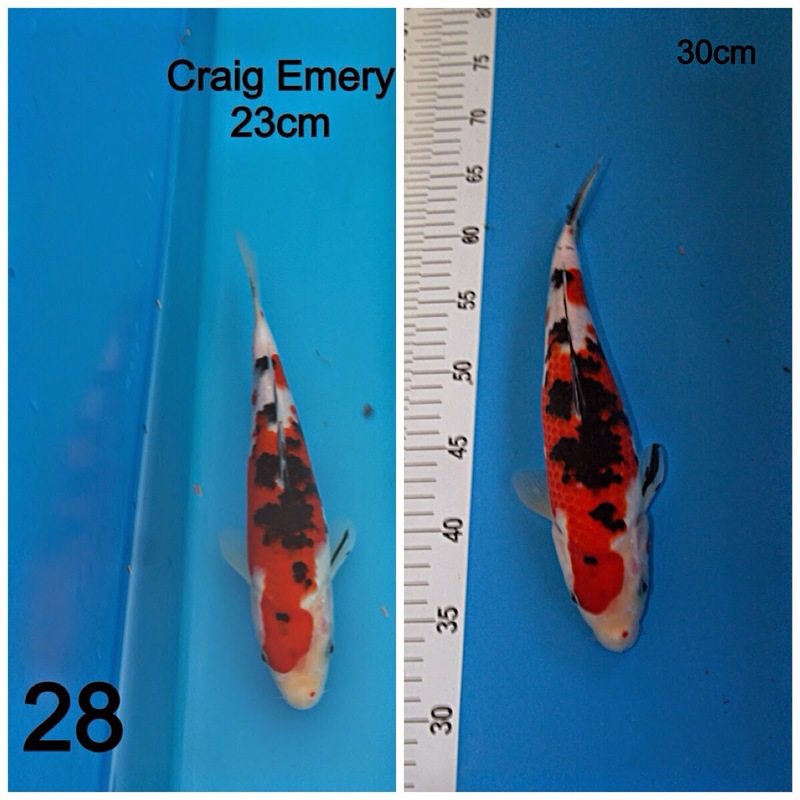 As you will see the koi completely lost all of its pattern but grew and amazing 80% in the 6 months from 20cm to 36cm. 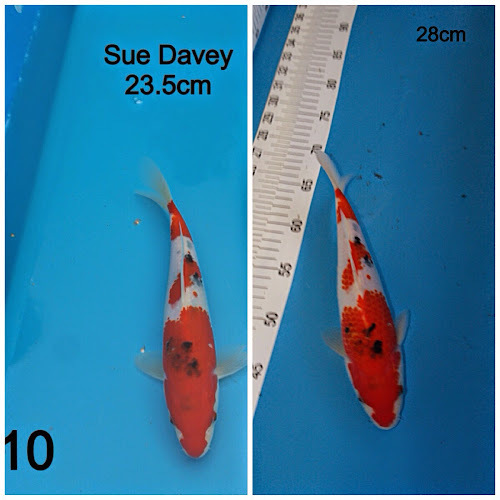 To give further respect to Steve and Pam as a token of their acknowledgement that this had 'gone south' in all other aspects apart from growth they replaced it with a really nice Showa they had grown on over the winter! Many thanks for this. 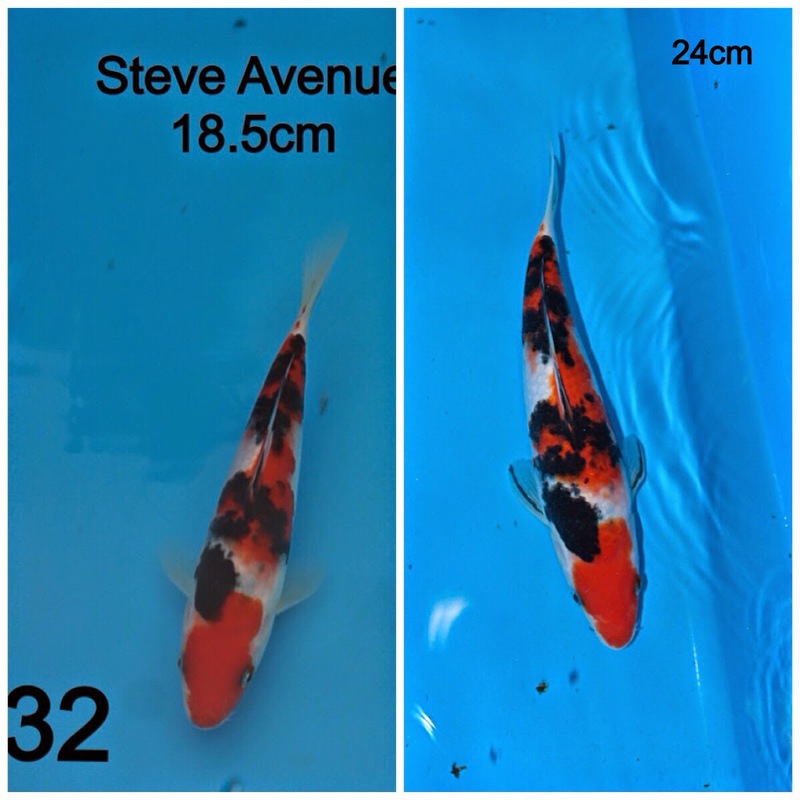 Kangei at avenue from craig emery on Vimeo. 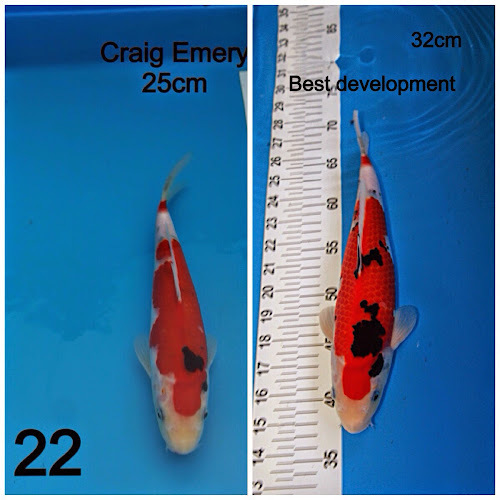 Congratulations to all the winners (Craig) and to everyone for taking part. Huge thanks again to Pam and Steve. 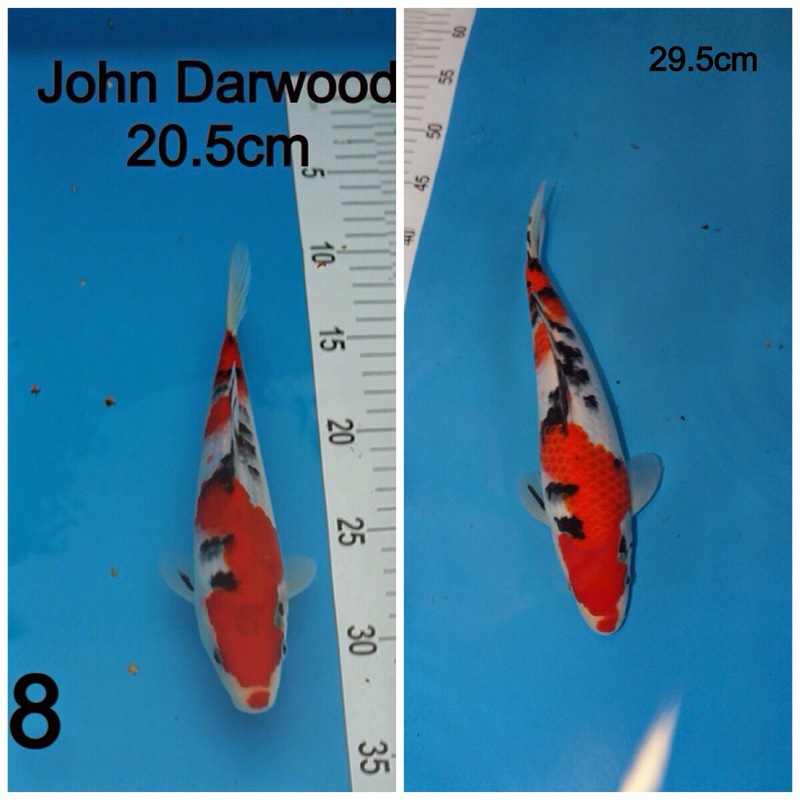 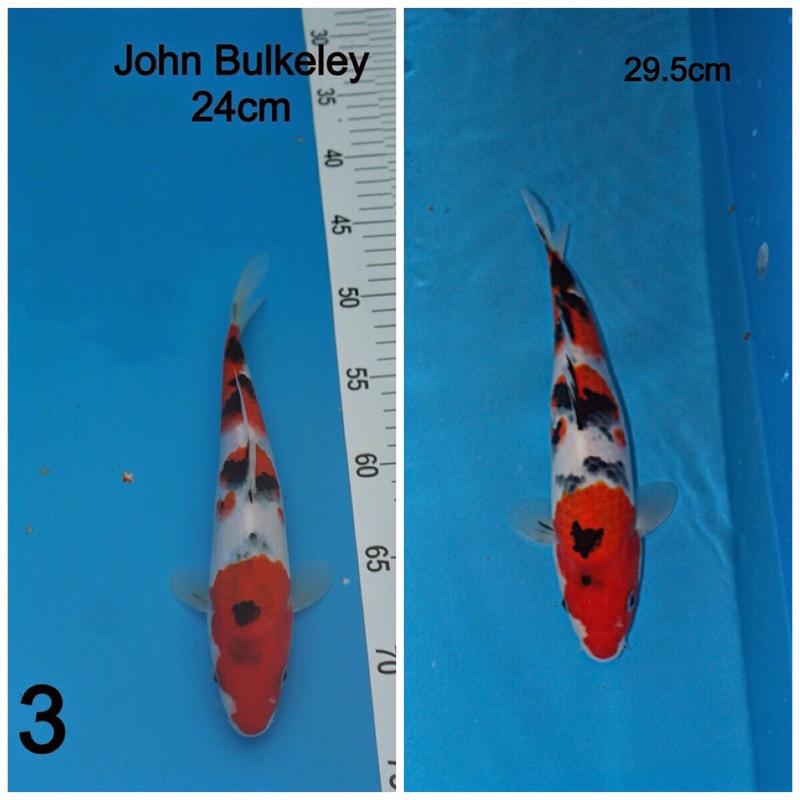 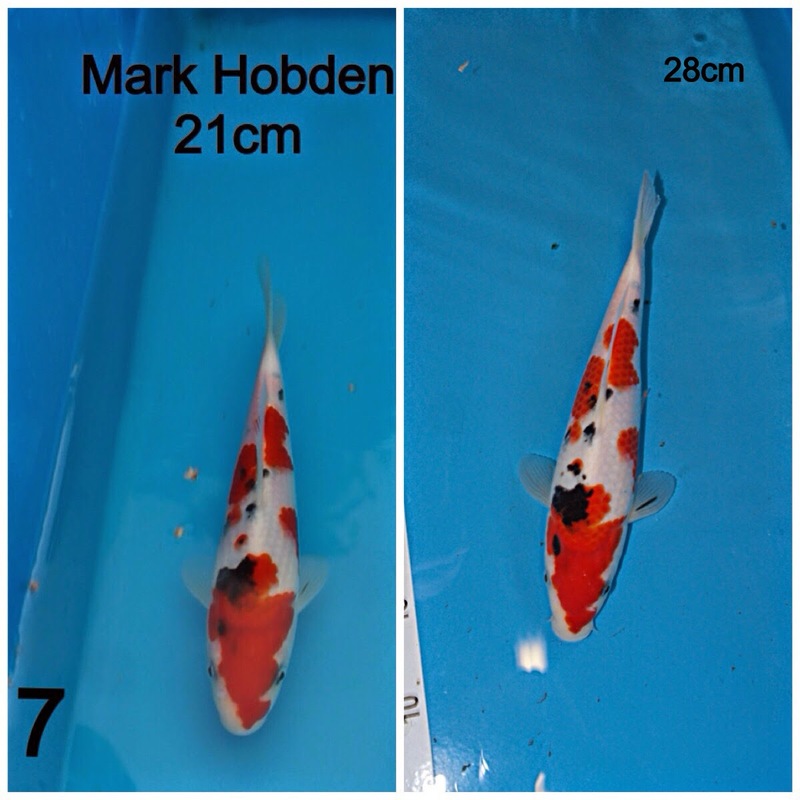 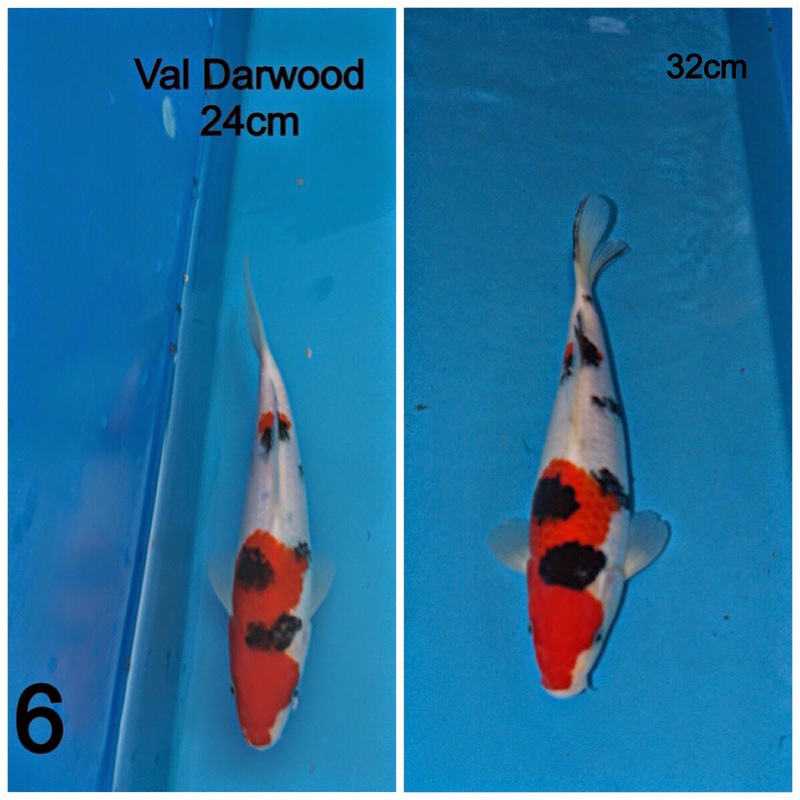 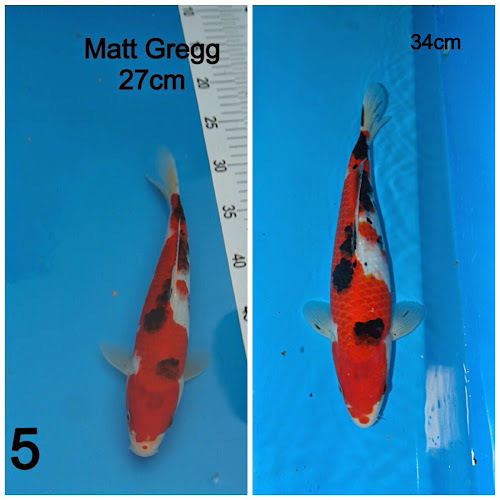 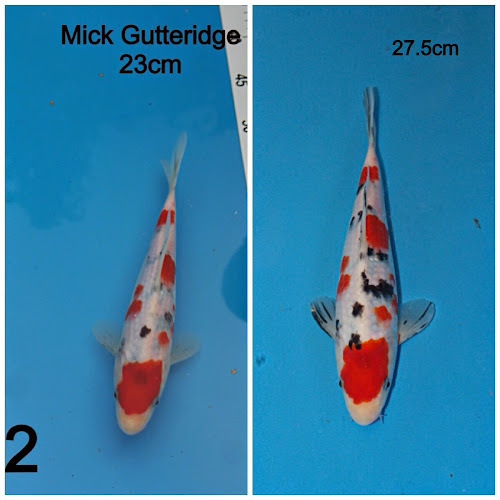 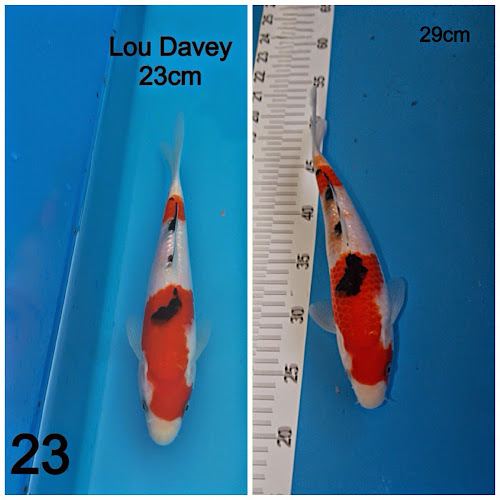 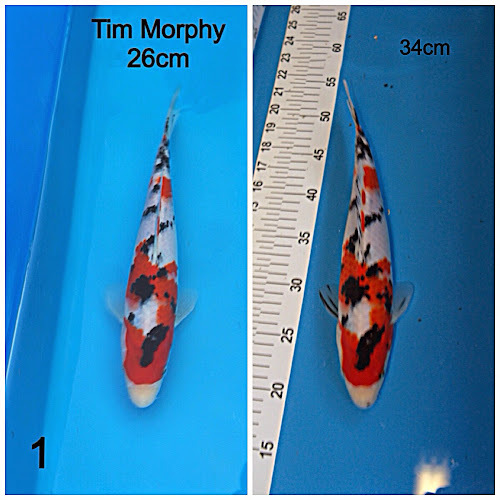 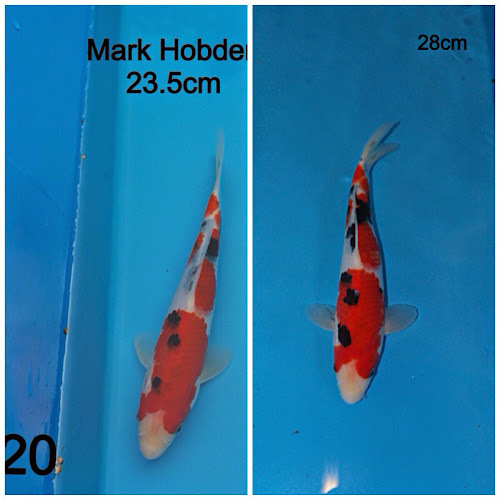 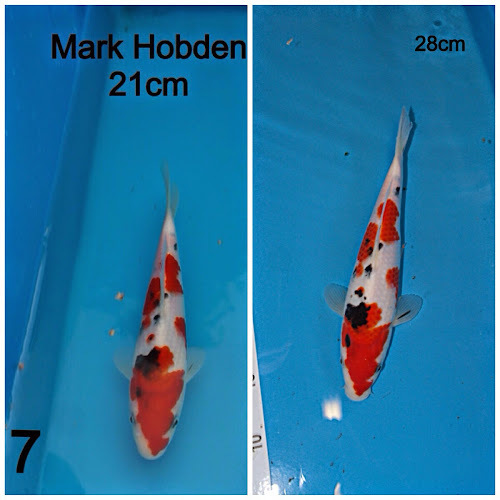 I will say that a large percentage of our koi showed really positive growth and development so far as you will see from the before and after pictures below. From early 2017, we moved to Facebook and have left this website available online with it's history of the club.